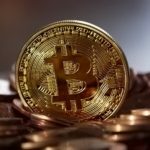 Bitcoin has once again proved that it is a valuable safety asset in times when global financial markets are going through a crisis. Namely, after falling down to nearly $7,000, the world’s most popular cryptocurrency started an ascending path as the political crisis in Italy deepened over the weekend and the threat of the country exiting the Eurozone caused turmoil in the markets. In other interesting news, German authorities have acquired $14 million by selling seized cryptocurrencies that were taken during criminal investigations. 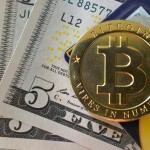 The “emergency sale”, as Fortune reports, was triggered by fears of fluctuations in cryptocurrency prices, which lead the justice treasury of Bavaria to dump the assets it was holding. According to reports, the authorities have sold 1,312 Bitcoin coins, just as many Bitcoin Gold coins, as well as 1,399 BCH (Bitcoin Cash), all of which were taken from the Lul.to website – a platform that reportedly sold audio and e-books that were copyrighted. 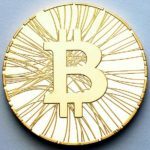 The sale was conducted over several months, starting in February when Bitcoin first crashed from the high levels it hit in December. However, only time will tell whether the current timing was right. Since our last update from a week ago, Bitcoin’s price drew another curve on the price charts, dropping down from its high point of $7,728.37 on Thursday morning to a low of $7,099.10 yesterday morning, only to start rallying again during the same day and come close to $7,600 today. The trading volume remained lower than usual throughout this period, circulating mostly between $4-5 billion. 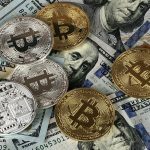 But yesterday’s events have drawn other traders to the market and the volume has been on a rise ever since, with the current numbers showing a 24-hour volume of $5.8 billion. On the other hand, the market capitalization remained steady during this time and is now at $127.9 billion, lower than last week’s $135.8 billion. Our technical analysis shows that the market is currently neutral, with 3 out of 12 oscillators and 9 out of 12 moving averages sending buying signals, while stochastic, Williams %R and 3 other oscillators are in a neutral position. The SMA 100 has fallen below the SMA 200, showing that the path of least resistance is downwards. However, as the $7,000 support was not broken during the price decline, Bitcoin should be headed back towards $8,500, as long as buyers keep pushing. But if not, we could see another fall back to $7,000 throughout the next week. Over the weekend, the global financial markets were severely shaken by the deepening political crisis in Italy. Threats were made by Italy’s fastest-rising party – the 5-Star Party – of leaving the Eurozone and Italy’s president Mattarella refused to appoint a eurosceptic minister of finance, Paolo Savona, who was proposed by the League and 5-Star wining parties. 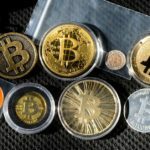 But while financial markets shook from the fear of seeing the third-largest economy in the Eurozone leave the Euro currency area, cryptocurrency markets began to recover. Namely, over Tuesday, Bitcoin saw a gain of 4.8% while other popular cryptocurrencies like Bitcoin Cash and Ethereum were also on the rise, at the same time when uncertainty with Italy began to grip the markets. According to Business Insider, another asset that rallied during the time was gold, which is the common safe-haven for investors. Fundstrat’s Tom Lee, who spoke to the business portal about Bitcoin’s recent rise, said that it was positive to see Bitcoin increase together with gold as well as see the cryptocurrency as “an uncorrelated trade on a risk off day”.